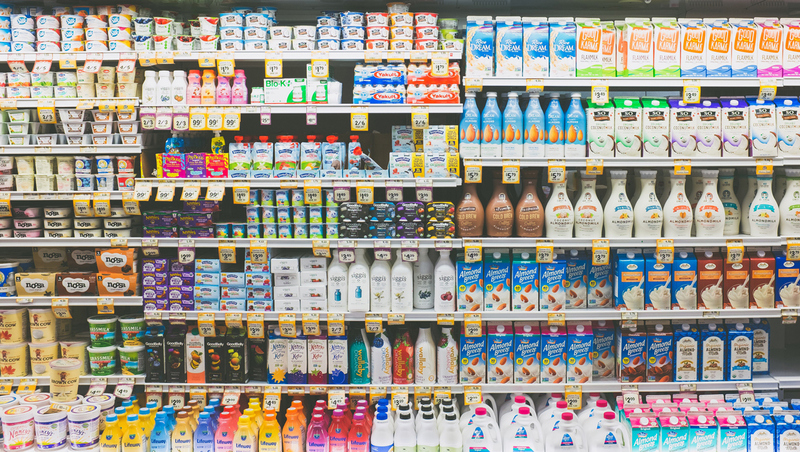 To help you figure out which one is right for you, we put together a list of some of our credit card top picks for groceries for 2018. For a more generalized roundup of great credit card deals, see our article on the Top Credit Cards of 2019. 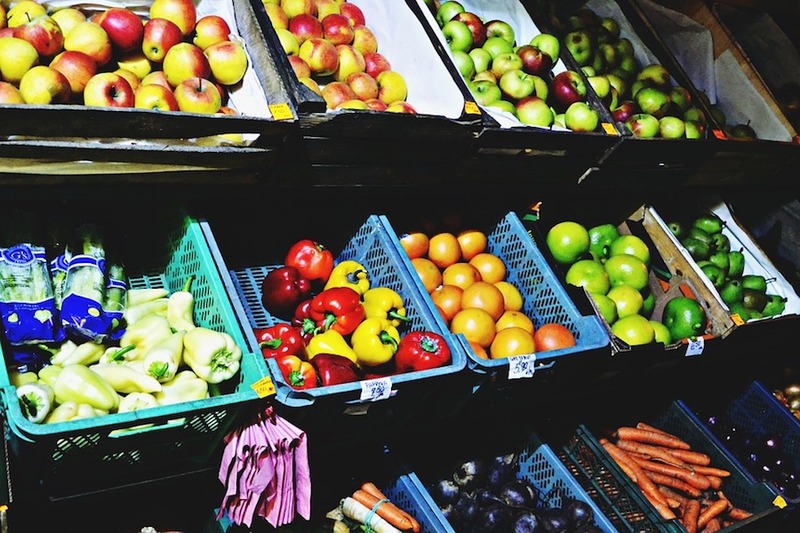 Click on a credit card below to read more about how you can best use them for grocery store purchases. The Chase Freedom Card is a good pick for a grocery store credit card because it has no annual fee, and for one quarter every year (April to June), it offers 5% cash back on the first $1,500 in combined purchases at grocery stores. While it's not a year-round discount like the Blue Cash Preferred Card, other quarters offer strong 5% bonuses as well, like gas stations and local commuter transportation in Quarter 1 of 2018. Plus, there's a $150 sign-up bonus when you spend $500 on the card in the first three months of card membership. Another compelling way to receive even more than 5% return on your grocery purchases with the Chase Freedom card is by pairing it with any card that earns Ultimate Rewards points. While the Freedom card alone is strictly a cash back card, if you have a Chase Sapphire Preferred, Chase Sapphire Reserve card, or Ink Preferred card, you can transfer, at one cent per point, your cash back rewards into your Ultimate Rewards account. From there, you can expand the value way beyond one cent per point in value when you redeem for free travel (just see what I did with some of my Ultimate Rewards points in Australia). If you're interested in learning more about the Sapphire Preferred or Chase Sapphire Reserve cards, check out our post on the Top Airline Credit Cards. Keep in mind, Chase does have another Freedom card, the Chase Freedom Unlimited℠ Card, that offers a strict 1.5% cash back on every purchase (no rotating categories). While the bonus might not be as high during the grocery store bonus quarter, there's no cap to the cash back that you receive with the Chase Freedom Unlimited℠ Card (and it offers the same sign-up bonus of $150 after $500 in spend, with no annual fee). These rewards can also be transferred to your Ultimate Rewards account for maximizing your bonus. For some, this hassle-free card may be a better pick. The Bank of America® Cash Rewards Credit Card offers a "3, 2, 1" cash back rewards system that's easy to remember. You receive 3% cash back on a category of your choice (gas, online shopping, dining, travel, drug stores, or home improvement /furnishings), and 2% cash back on grocery stores and wholesale clubs, up to $2,500 in combined purchases per quarter. For everything else, you will receive 1% cash back. That means up to $200 back each year on groceries, if you spend the entire $10,000 limit each year at your preferred grocery store. Plus, there's an easy-to-hit sign-up bonus of $200 if you spend $1,000 in the first 90 days of card membership. If you're a Bank of America Preferred Rewards client, having between $25,000-$100,000 in combined balances between Bank of America banking and/or Merrill Edge and Merrill Lynch investment accounts, you can increase that cash back to $350 per year, or 3.5% cash back. Learn more about Preferred Rewards in our detailed breakdown of the program. 3% cash back on your choice of online shopping, dining, travel, drug stores, or home improvement /furnishings or gas, 2% cash back on grocery stores and wholesale clubs, and 1% cash back on all other purchases. 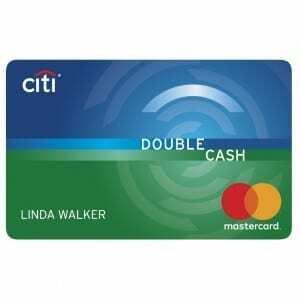 While this is not a specifically "grocery store" card, the Citi Double Cash Card does offer 1% cash back on every purchase, and 1% cash back once you pay your bill, with no annual fee. However, unlike other no-fee cards mentioned in this post, there is no sign-up bonus to be had here. 1% cash back on every purchase, and 1% cash back once you pay your bill. What's behind our selection methodology? 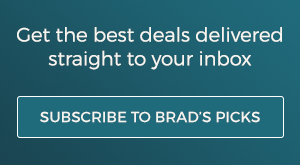 We pride ourselves on editorial independence at Brad's Deals, and we make sure to give our honest and researched recommendations, regardless of compensation from card issuers. The recommendations above are either based on my own personal experience with these cards, or based on the hundreds of discussions we've had with readers on what they need out of a grocery store credit card.